Full service personal bankruptcy law firm. Julius Cherry is the retired fire chief of Sacramento who went to night school at McGeorge School of Law while working up the ranks as a fire fighter. His practice is limited to personal bankruptcy. Julius "Joe" Cherry holds a Juris Doctorate from The University of the Pacific, McGeorge School of Law and a Bachelor of Science in public administration from California State University, Sacramento. Mr. Cherry was admitted to the State Bar of California in June 1991 and maintains a private law practice in Sacramento, California, focusing on consumer bankruptcy. 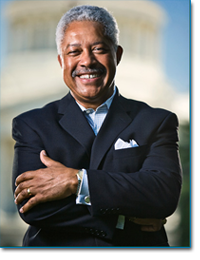 Julius Cherry is also CEO of The Cherry Consulting Group, a national consulting firm. Mr. Cherry has more than 30 years experience in the fire/emergency medical service. He served as Chief of the Sacramento Fire Department from May of 2004 until his retirement in December, 2006. During that time, he was responsible for more than 600 employees and an annual budget of approximately $90 million. Prior to serving as Fire Chief, he was Deputy Fire Chief of Support Services, after successfully serving as the Assistant Fire Chief, Commander of Shift Operations. Mr. Cherry has extensive experience and expertise in all aspects of the fire service management, including but not limited to, emergency planning, homeland security, incident command, labor relations and human resources. Mr. Cherry serves on the Community Advisory Board for Catholic Healthcare West. He is the past chair and current board member of Goodwill Industries of Sacramento Valley & Northern Nevada, Inc. He is a past board member of the Sacramento County Fair Board as a governor's appointee. He is a former commissioner of the Sacramento County Project Planning Commission. Mr. Cherry is the current vice chair of the Hemispheres Arts Academy board.